New coaches: don't be caught flat-footed at your first tournament. 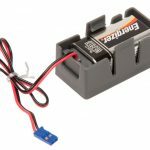 Understand what the required 9V backup battery is all about, *well in advance* of your competition (in time for you to find/buy one). 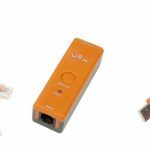 Jumper clips and LEDs are both plugged into digital ports on the cortex and can be used for autonomous code selection, debugging, or an alert system. 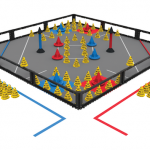 The VEX line tracker is used to follow the white tape lines on a competition field during autonomous. 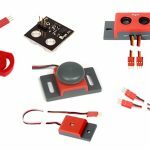 This post covers it all: how they work, how to install them on your robot, testing, programming (including easyC), resources, and troubleshooting. Special thanks to Griffin Tabor who provided this code for how to calibrate your line trackers when you put your robot on the field (before the match starts) to account for ambient lighting conditions. The ultrasonic sensor uses sound waves to calculate the distance to an object in front of the sensor. Use it in autonomous, driver control, & pre-auton/initialize too! 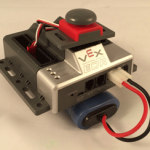 Shaft encoders are another of VEX's most reliable—and widely used—sensors. Encoders are used (primarily in autonomous) to measure how far a robot has travelled, and to keep the robot moving in a straight line. Bumper & limit switches are reliable and widely used digital sensors. 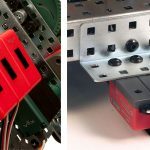 Here's how they work and how you can use them on your robot. 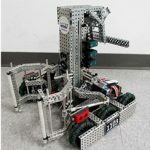 VEX has a large number of sensors, and the wide array can be mystifying for novice teams. This series will explain each sensor in turn, and hopefully help coaches with purchasing decisions. 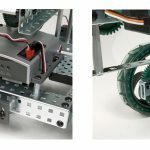 The Smart Motor Library does nifty things for RobotC programmers to help prevent motor overload (motor stall). This post is a break-down of all of its functionality, plus a how-to guide on including it in your competition programming. New coaches may not realize that the game manual downloaded in April has been changed (twice). Here's a summary of both the June 15 & August 17 In The Zone game manual updates. Make sure your students understand the most recent rule changes to avoid any unwelcome surprises! 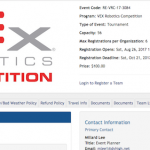 VEX Worlds and certain local tournaments include a "PTC test" on robot motors to ensure they have not been illegally modified. Here's the details. Attention new mentors – this one's for you! Here you will find an agenda-organized description of all the things that happen at a tournament, and what you as a mentor need to be aware of.